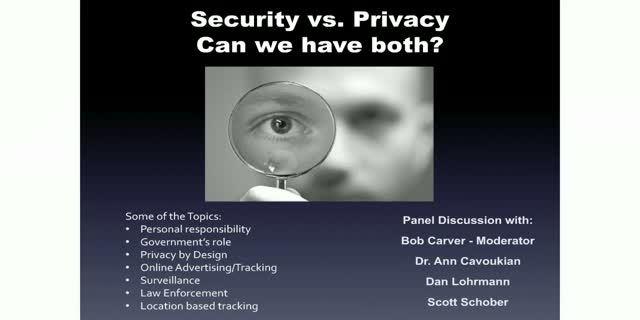 Panel: Security vs. Privacy - Can We Have Both? Why is Privacy Important? Why is Security Important? Can We have Both? • Scott Schober, Cybersecurity Expert and Author of "Hacked Again"
• Dan Lohrmann, Chief Strategist & Chief Security Officer at Security Mentor, Inc. Title: Panel: Security vs. Privacy - Can We Have Both?